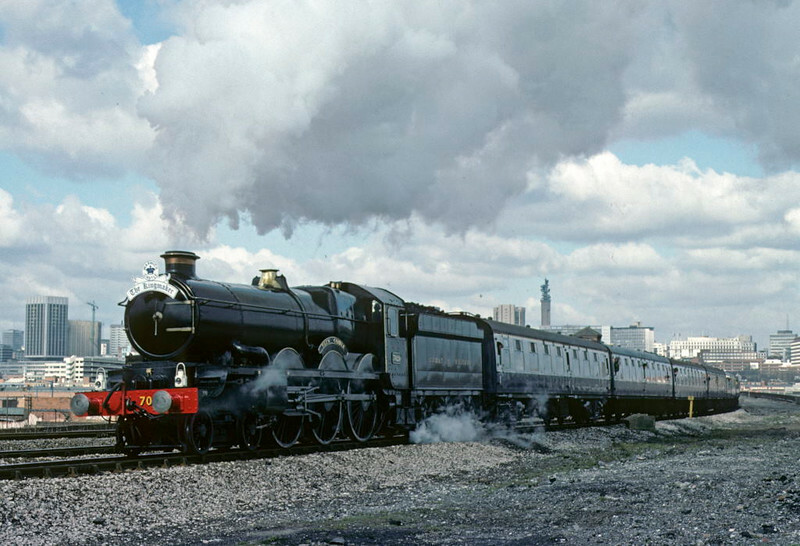 7029 Clun Castle, Bordesley, Sun 3 April 1977. 'The Kingmaker' sets off from Moor Street to Leamington Spa. Photo by Les Tindall.